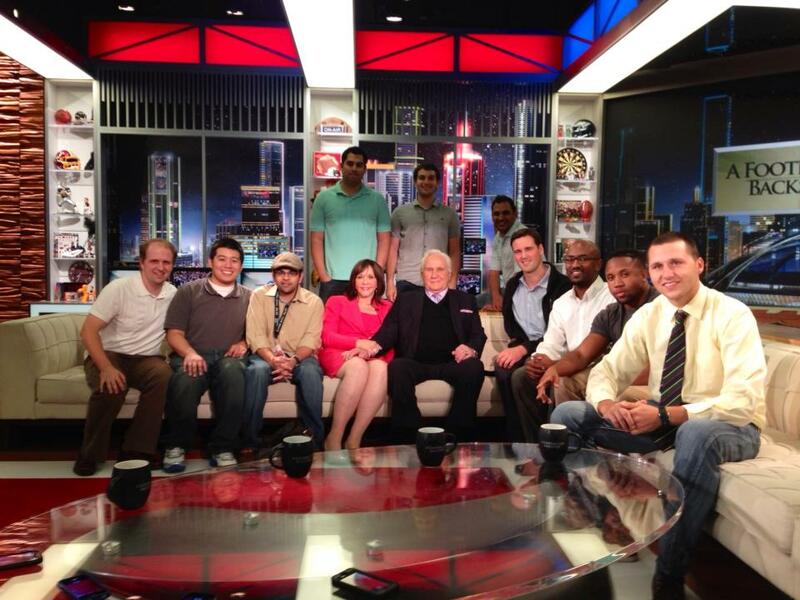 Our happy little crew with Don Shula. and his wife Mary Anne. Having been part of the NFL Network for over a year, I don’t actually get to watch a show in studio as it airs live. Since I am usually in the newsroom working with lots of news and information, rarely am I am in the studio doing television production. But it was nice to come in when I wasn’t on the clock to watch Don Shula tell stories on “A Football Life: Backstory” live in person. Sitting there as we watched the cameras roll, the show go live and clapping on cue was really neat. What was even sweeter was that even though I knew how everything operated during a live show, it was really exciting for me. We would watch the camera rotate around, then the hosts talk with the guest and just back and forth. Since it was a studio audience, laughing along and cheering was encouraged. I suppose that even though I see Super Bowl winners and Hall of Famers all the time, there was something special with having Shula in our presence. He was witty, full of stories and just a joy to be around. I was so happy that he willingly took photos with everyone after the show. His wife was just as nice throughout the entire show. Even though I wasn’t working the show, it didn’t seem like work at all to anyone. It was all fun. And that’s what I really like about being at the NFL Network. I know it’s work. But everyone enjoys it. I guess that’s what it means to have a dream job. Meeting and sharing that small time hanging out with a legend surely made his day fun for me. We’re live on the set. This entry was posted in NFL Network, Television and tagged A Football Life, Don Shula. Bookmark the permalink.